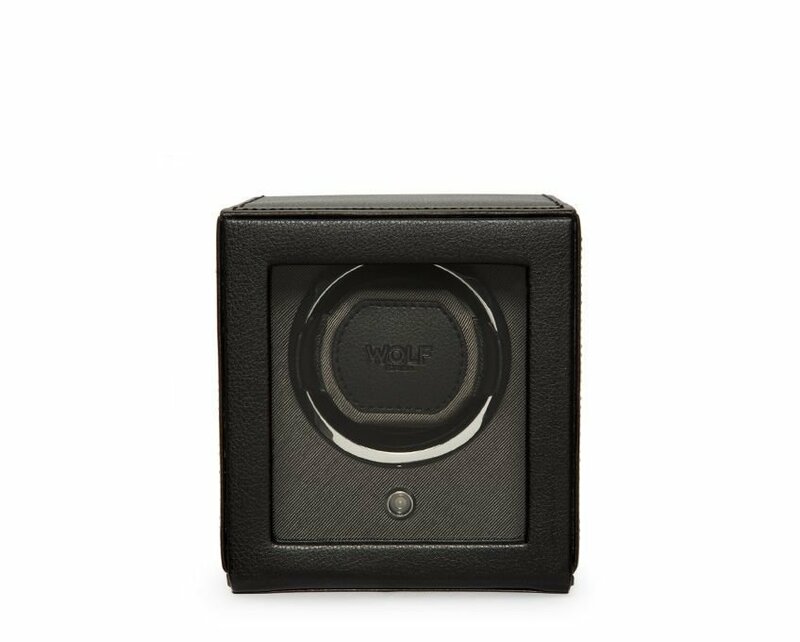 Young, smart and uncomplicated, the cub takes care of your watch with ease. 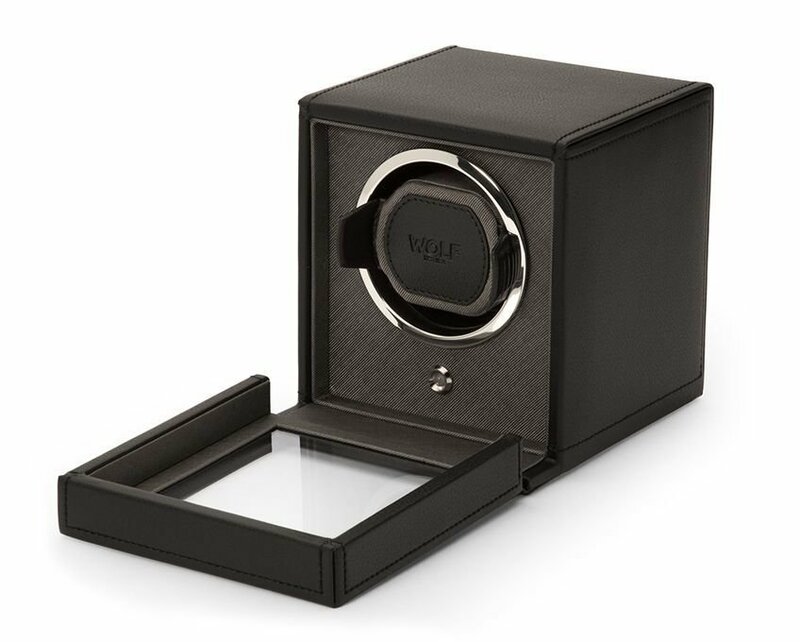 Six sides perfectly proportioned to encase your timepiece safely and precisely. Never miss a beat in your busy life. 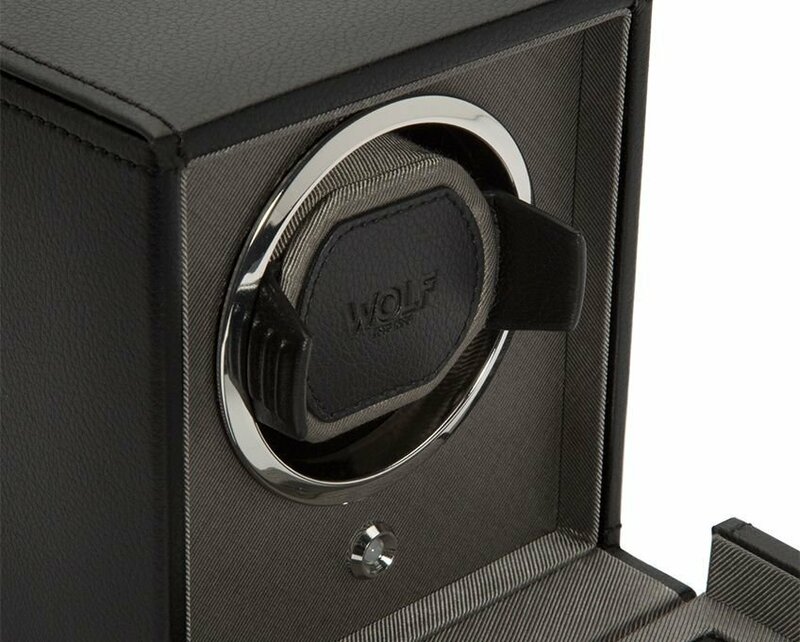 Features black vegan leather, chrome finished hardware and single winding module.